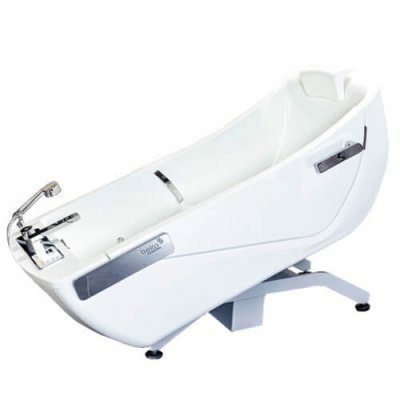 The Kinet reclining bath is ideal for assisted or independent bathing and showering as it allows effortless access and a secure bathing experience where bathroom space is limited. The compact unit tilts to allow the bather to step or be assisted into the bath and then reclines back into a comfortable position for washing, bathing or showering. 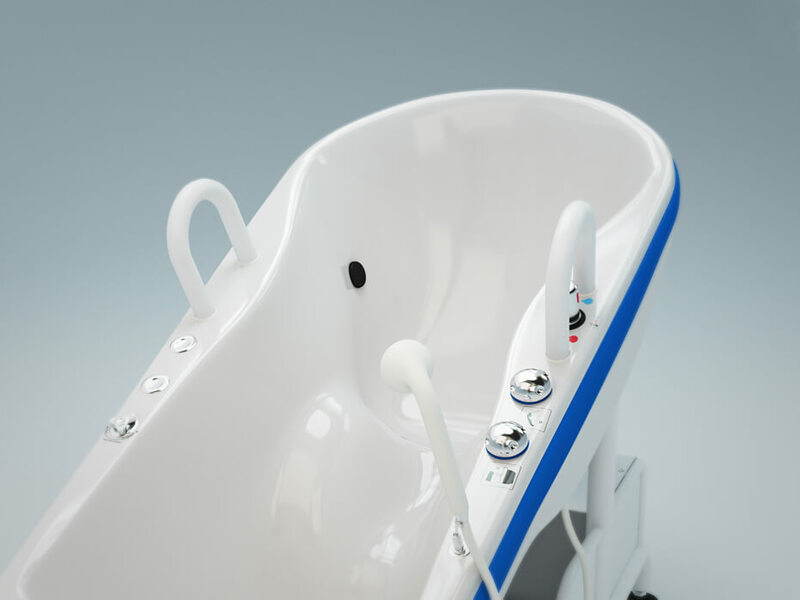 The tilting motion of the Kinet bath is easy to operate at the touch of a button from a handset control and a built in thermostat provides protection against scalding from the spout and shower. The Kinet reclining bath is ideal for assisted or independent bathing and showering as it allows effortless access and a secure bathing experience where bathroom space is limited. 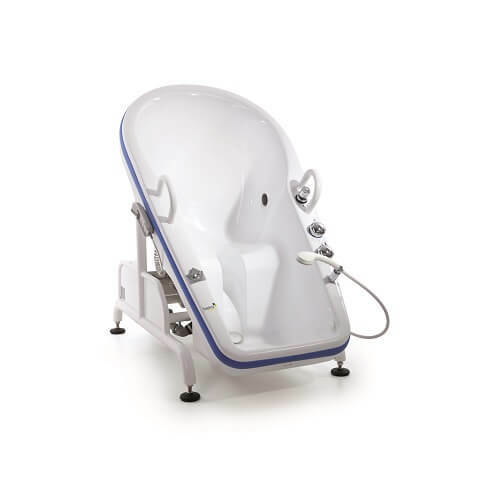 The compact unit tilts to allow the bather to step or be assisted into the bath and then reclines back into a comfortable position for washing, bathing or showering. 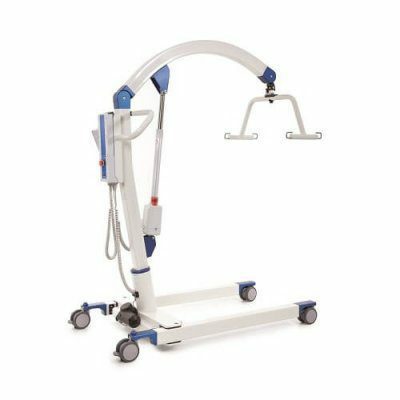 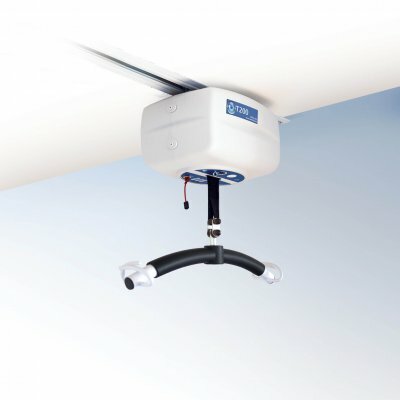 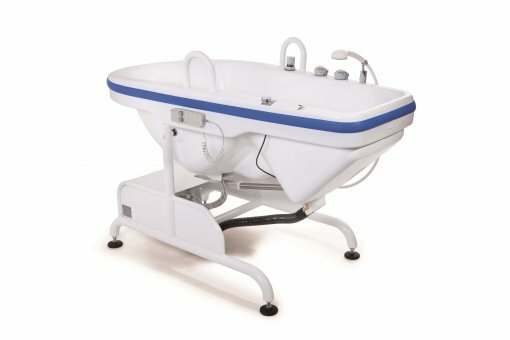 Large grab handles make entry easy when unaided and the Kinet tilting bath can also be used with mobile hoists and ceiling hoists for clients requiring extra assistance. 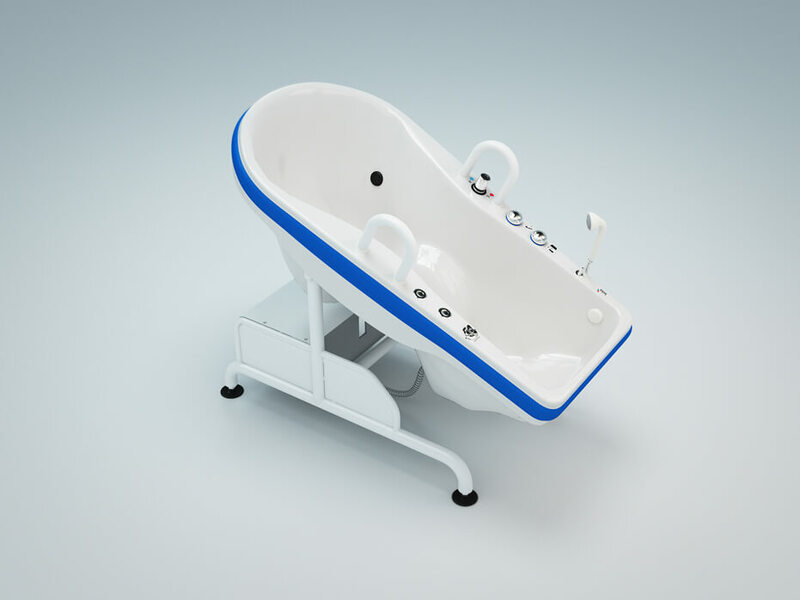 The non-slip ergonomic bathing position also has a hygienic keyhole shaped seat so the client can enjoy a comfortable and relaxing bath. 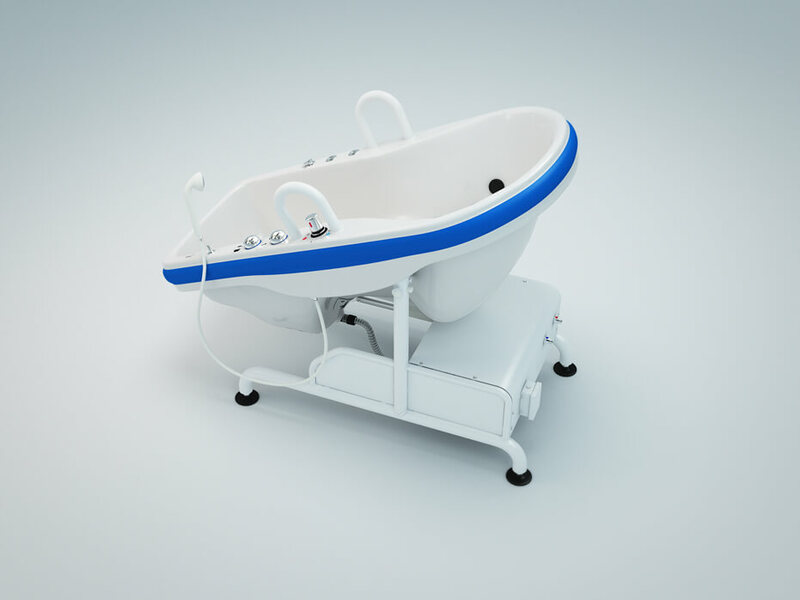 The Kinet bath is popular in care home settings due the 3 year warranty* for extra peace of mind, compact size, low water consumption and short filling time. 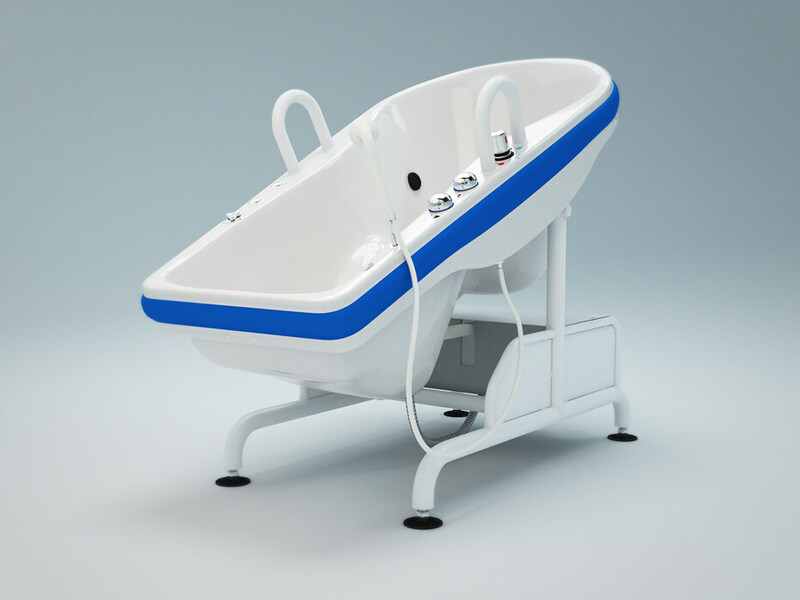 Draining is also very fast and once it is tilted forward again, the bather can easily step straight out.